Recently filed federal charges against President Donald Trump’s ex-campaign chairman Paul Manafort could also pose legal and regulatory risks for the banks that loaned him millions of dollars against his New York real estate in recent years. The most serious exposure may be for a Rhode Island-based bank that employed a “conspirator” in Manafort’s scheme to obtain a loan he couldn’t afford, according to the 32-count new indictment unsealed this week. 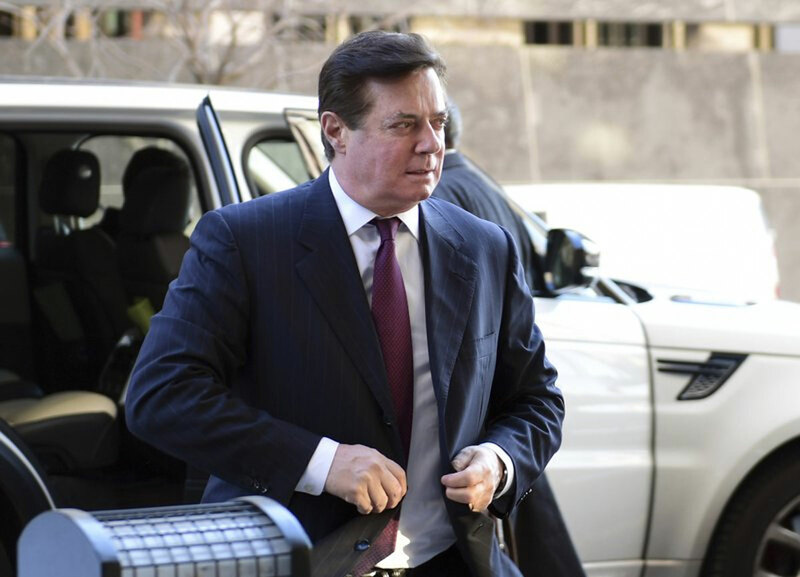 Dubbed “Lender B” in court papers, Citizens Bank not only lent Manafort $3.4 million based off of fraudulent documents but, in another case, appeared to help Manafort avoid being caught by sending back a crudely falsified financial statement that had been sent to them from a Manafort associate, according to federal prosecutors. Peter Lugcht, a bank spokesman, declined to acknowledge that Citizens was “Lender B” or answer questions about whether Citizens had reported the alleged loan application fabrications to the government. He also wouldn’t say whether it still employed the person identified as a conspirator. The Associated Press identified “Lender B” and other unidentified banks referenced in court papers by cross-referencing loan amounts and dates described in the indictment with publicly available property records in New York City. Experts told the AP the bank’s behavior as described in the indictment will cause problems for it beyond a possible loss on its loan, drawing scrutiny from the Office of the Comptroller of the Currency. “I would expect the OCC upon reading this indictment or news accounts of the indictment to immediately launch an investigation of what went on,” said Kevin Handly, a banking lawyer and former senior attorney for the Federal Reserve Board. Details of Manafort’s banking habits were laid bare in the court papers filed this week by Robert Mueller, the special prosecutor investigating Russian ties to Trump. Manafort has pleaded not guilty to money laundering and other charges. His longtime deputy, Rick Gates, who was similarly charged with banking violations, tax evasion, unregistered lobbying and other crimes, pleaded guilty Friday and will be cooperating with Mueller’s probe. Along with the prospect that one of Citizens’ employees allegedly aided an attempt to commit loan fraud, the details in the indictment indicate the bank failed to heed the results of its basic due diligence, eventually lending Manafort $3.4 million despite twice having reason to be wary of Manafort’s creditworthiness, prosecutors said. In the first case, Citizens noticed that Manafort failed to disclose loans on other properties in New York in his application for a $3.4 million loan, using a condo in Manhattan’s trendy SoHo neighborhood as collateral. That’s when Manafort asked Gates to find an insurance broker to hand over an old insurance report that didn’t list one of the loans, making it appear as if he didn’t have as much debt as he did, according to the indictment. “Good job on the insurance issues,” Manafort wrote to Gates, the court papers show. In a second instance, Citizens was apparently unwilling to loan Manafort money after noticing $1.5 million on his balance sheet from another account. But the bank’s concern was apparently mollified after Manafort and Gates asked their tax accountant to send the bank a back-dated document falsely stating the $1.5 million had been forgiven, court papers show. In the case involving the “conspirator” at Citizens, it doesn’t appear the bank made the $5.5 million loan that Manafort had sought for a property in Brooklyn. In that case, according to court papers, “another conspirator on Manafort’s behalf” sent the bank a fake profit-and-loss statement. The person wasn’t identified in court papers. Handly said that bank regulators would likely want to know why a bank hadn’t caught on to such a ruse. Manafort has properties in Florida, Virginia, Manhattan, Brooklyn and New York’s Long Island. Baldinger was reprimanded by the New Jersey Supreme Court in 2008 for violating attorney conflict-of-interest rules and again in 2013 by the New York for not reporting his past disciplinary history, according to records. He didn’t return messages seeking comment.